Your hosts wax poetic on the season in this second episode, lamenting the decision to fire a telephone, trying to get to the bottom of social networking and sailing along the ancient flight paths in the skies. 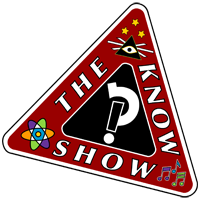 Happy Holidays from The Know Show! Special thanks to Steven Reines and Mark Yoshimoto Nemcoff. This is why I love http://www.theknowhsow.info. Unbelievalbe post. Thanks a bunch – or three – Kathy! You are the bubbles that make us go. Hmmm . . . You get a gold star!